Do you think building a website’s hard?…. Well here is the honest God truth! I know building a brand new website might sound hard, or expensive. But the truth of the matter is, you don’t necessarily need intricate coding skills or a lot of money, to create an ordinary website. 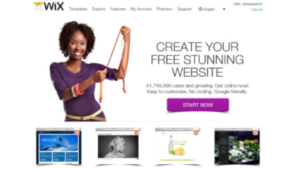 With Wix, you can build a website on your own. 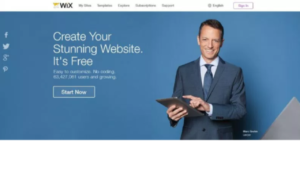 Wix is a popular website builder, that uses drag, and drop approach for website development, and provides you amazing features to build, and maintain your website. Read on to know more about Wix, and its pros and cons. You will also learn more on whether or not this platform is good for building your website on or not. So I encourage you to read on..
Wix, is one of the most popular website builders available online, in the world. 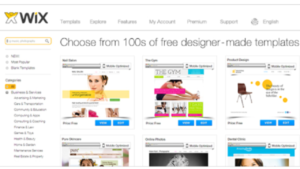 With Wix, from the already available templates, you can begin building your website. They literally have hundreds of templates you could choose from. It also runs on the internet browser. So you don’t need to sorry about installing, or downloading any software. Wix also provides free web hosting as well, so creating your first website, can be a breeze. As a matter of fact, creating a website using the Wix program, isn’t that difficult at all. You don’t need to have any previous training or experience with web development. The drag, and drop features within your website builder, make it very easy for everyone to make an effective, efficient, website. Just simply fill in the blanks, as you go thru the steps. So if you don’t have any technical skills, but you know how to follow simple directions, you can still create a beautiful website for yourself. Wix is suitable for a wide range of businesses and people. It’s especially good for small businesses, and personal portfolios. 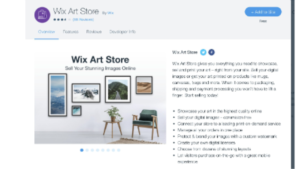 If you own a business that is linked to fashion, designing, architecture, restaurants, or you’re an artist, like a musician, painter, or photographer, Wix might be a good choice for you. Compared to the traditional options where you buy, and manage all the pieces manually, Wix is quite easy to manage. It’s also optimized for mobile devices, so it gives you a smooth experience, no matter what device you decide to work on. One of the major strengths of Wix, is its interactive design. The template editor gives you full control over your website. All the building blocks can be adjusted according to your requirements, just by using the drag and drop feature. These templates are creative, and particular, so you can choose one that best fits your niche. It also, again, covers mobile devices very effectively. When, you make a website, Wix will automatically create its mobile, and tablet versions. Then, you can edit these versions separately to match your requirements. Wix also provides e-commerce features for selling products online. By subscribing to Wix eCommerce, you unlock various features that help you run your business more properly. 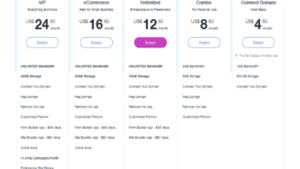 It also gives you an optimized mobile store for your site. This feature would be really useful, if you were looking to sell products online. Exceptional Templates and Great Flexibility: Wix provides you with well over 500 different templates you could adjust, and use for your website. It also provides you great flexibility over designing a website. It offers too many functionalities to list out all of them in this blog. So your not at point zero when starting out. Website Apps and Plugins: You can add a number of web apps in your Wix website, using something called, “App Market”. However, these are all third party apps. So if any of the apps doesn’t work correctly, or it shuts down, it’s not Wix’s fault. Business Customization: If you want to build a site for Restaurant, Hotel, real estate etc., Wix offers you eCommerce subscription. Here, you will be provided all the features that are required from the selling point of view. Auto Backup: Your data will be secured when using Wix. Wix uses multiple backup points, so if some of your data is corrupted or lost, you can easily restore it. Pricing Plans: The good thing about Wix, is that it provides short-term pricing plans. With this, you can determine the suitable package for your business without losing that much money. Moreover, Wix also offers a money back guarantee warranty. So if your not satisfied with your subscription, you can cancel your plan. It just has to be within the first 14 days. Security: If you are using Wix, it means that you don’t have to worry about security, or spammers. Wix owns the servers, and provides all the services. So you don’t need to worry about the security issues. Customer Support: Wix has a very efficient customer support system. If you happen to come across any problems while using this platform, you can get help from customer support via Email, Phone, or Knowledge base. Wix can solve your problems quite fast, and effectively. No Data Export: Wix doesn’t give you the ability to export your data. That means if you need to move away from the platform, you can’t take your content, and designs with you. Changing Template: Once you have selected a template for your site, you can’t switch it with another template. Of course, you can implement certain changes in it. You just can’tt pick a completely new one. My Conclusion About Wix’s Software..
Wix is good for you if you if your a beginner, and need a website for a small business. Especially if that business requires colorful, well designed templates. This is typically true for fashion, jewelry, architecture, music, graphic designing and the likewise industries. It is a great platform for these kinds of websites, as it provides flexibility with design, and the integration of additional apps. Having said these, it is a good software to use overall. It gives you great flexibility with design, and provides a number of great features. The great thing about this software is that beginners can create a website yourself, without having any advanced technical skills. Are you tired of looking for work online? Do you have something to say or add, about Wix, and building websites with it? If so, leave a comment at the bottom of this post. I would love to hear what you have to say! If not, thanks for reading my post, and good luck with your success! Posted in Legit Work Online, The "All About's"